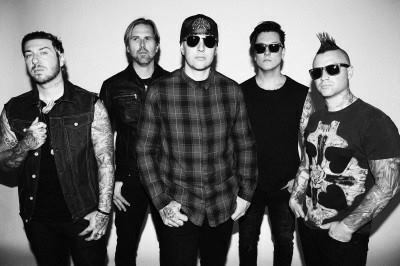 M.Shadows spoke to Wichita's 89.1 KMUW about the fact that Avenged Sevenfold is one of only a few newer bands that are able to fill arenas in North America. "I think that there's a lot of ambition that goes into it but also a lot of luck. We were around in a time when we were able to hit the tail end of MTV and we were able to hit the tail end of record sales. That set us on our path to be one of those last bands that had that kind of push that a lot of bands nowadays aren't going to be able to get. I think there's definitely some luck involved." He continued: "This [current North American headlining] tour has surprised me the most because we're 18 years into our career and these are the best ticket sales we've ever had. Most of these shows are selling out and they're selling out quick, so I think it has to do with an accumulation of time and if you continually put on a good show and try to do the right moves and try to put out good records. After a while, there's less and less bands at these big shows so the fans, when you come to their city, it's an event. 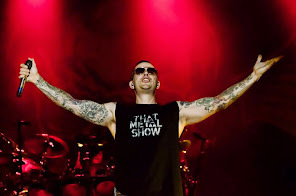 I think that's important, that you make it an event for them so that every time you come through they want to come out."